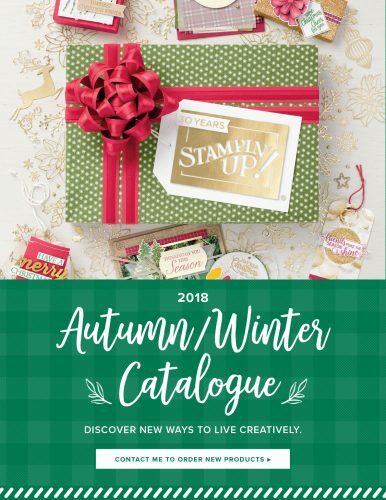 As we’ve reached the beginning of September, it’s time for the Autumn/Winter Catalogue 2018 from Stampin’ Up! to be launched. It’s full of fun products and helpful tools for all your crafting needs through to the New Year. Click on the picture above to be taken to an online version. Check out this cute little video showing some of the items too. Watch this space for details of Christmas Card Boot Camp. It’s in the planning stages so details coming soon. To order any of the items in the Catalogue, click HERE to go to my online store. Remember to use the Hostess Code if you are placing an order. You can also join my team here. All items have been created by Karen for HIPPOFROG Designs and are the sole responsibility of Karen Young as an Independent Stampin’ Up! Demonstrator. Most designs use Stampin’ Up! products – these images are copyright Stampin’ Up! Content including text, photographs and projects are copyright Karen Young (unless otherwise specified). My artwork is shared for your personal enjoyment and inspiration only and is not intended for submission to contests, publications or for personal monetary gain. If you wish to use the contents for any other purpose please contact me. Powered by the Zeus Theme.Copyright © 2019 HIPPOFROG Designs · All Rights Reserved.